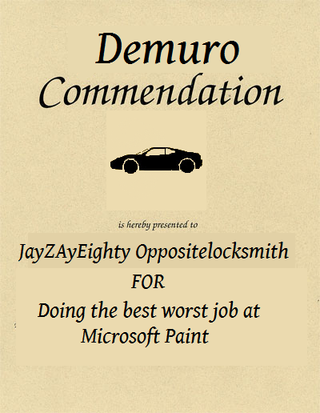 I got a Demuro commendation. That is the single worst MS Paint photo edit I have ever seen. I commend you, really.